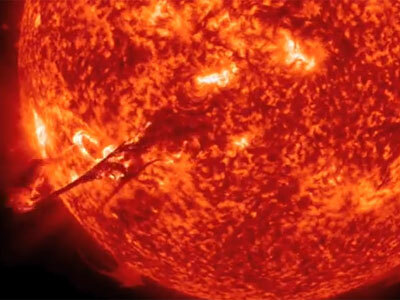 The Big Bear Solar Observatory (BBSO) in California, site of the largest solar telescope on the planet, has issued a mesmerizing video and photos in previously unseen detail of surprisingly active plasma in the sun’s fine structures. 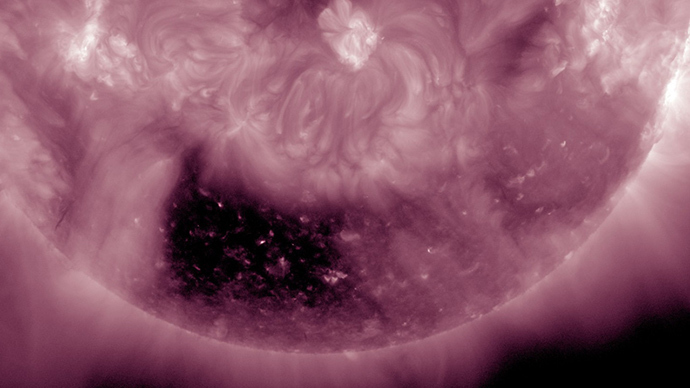 BBSO's New Solar Telescope (NST) possesses an unprecedented level of high resolution and enables the sharpest-ever photos of the visible corona of our star. 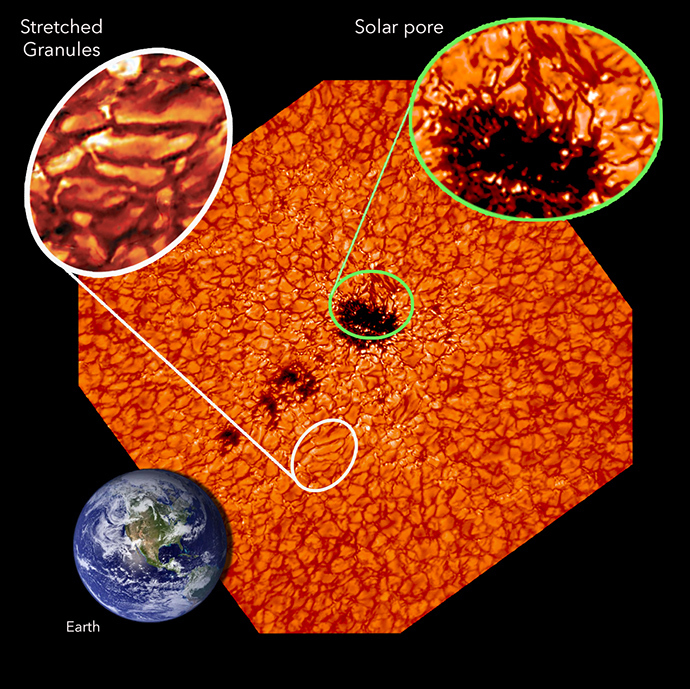 One of the sunspots captured by the NST is the size of the Earth, but such structures can be the size of Jupiter. 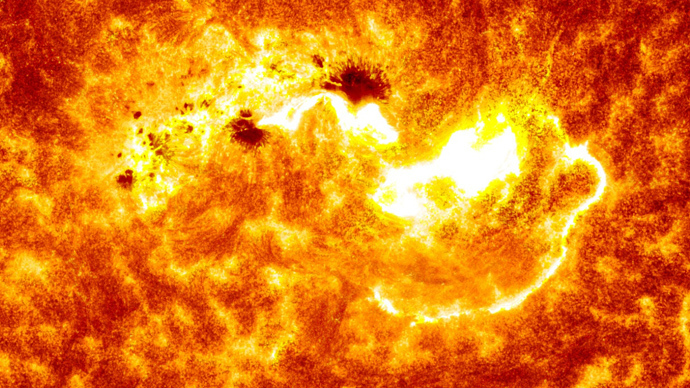 The temperature of the sun’s surface is about 6,000 Kelvins, whereas sunspots are approximately 1,500 Kelvins colder; therefore they look dark against the blazing turbulent plasma. 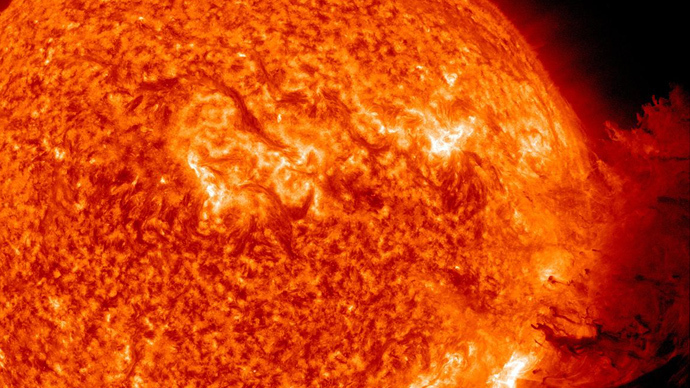 The sunspots are static-equilibrium structures, which maintain a balance between the magnetic force and gas pressure of the star. 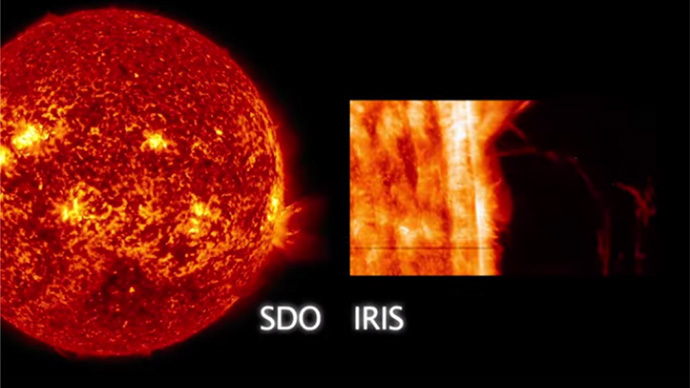 Learning more about the principles of these self-organized structures is of fundamental importance for physics and astrophysics. 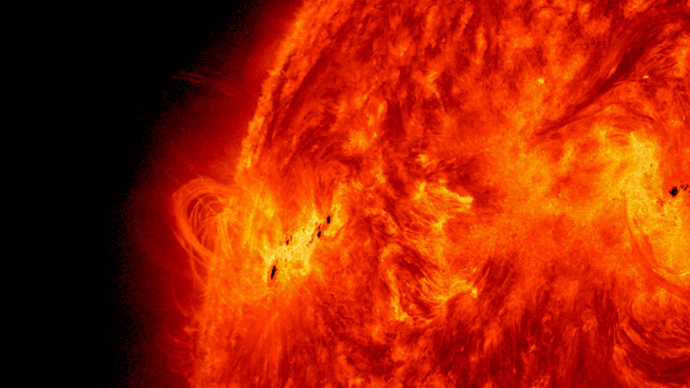 The sunspots could have magnetic fields with opposite polarities, and quite often, when they happen to be close to each other their interactions produce ‘solar storms,’ sending powerful flares of plasma into space. 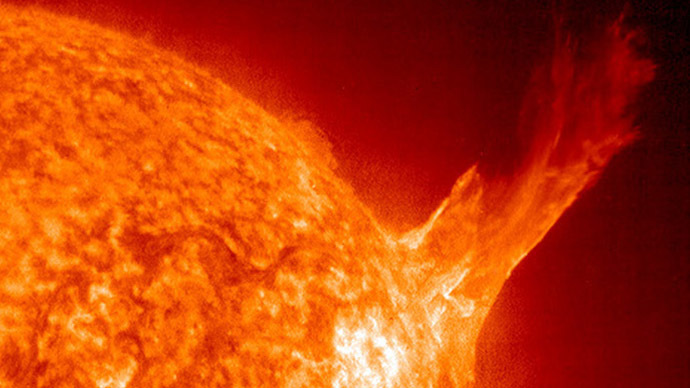 The aftershock of such outbursts can cause a geomagnetic storm, which can reach Earth and damage communication equipment, power grids, navigation equipment and the like. 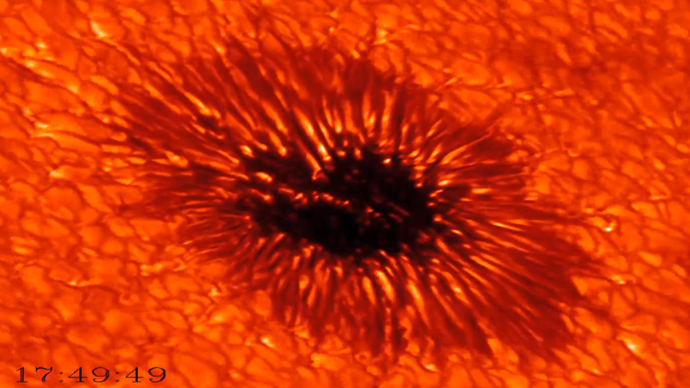 The video is a clip made of photos of the sun’s surface over a period of several hours obtained on September 29, 2013. 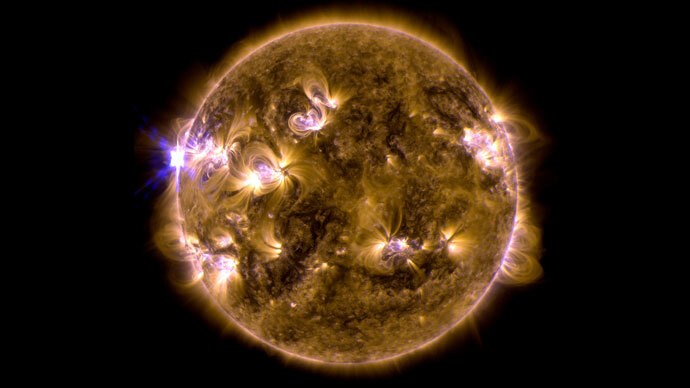 The data imaging was carried by the BBSO engineering team led by the observatory’s associate director, Wenda Cao, NJIT associate professor of physics.